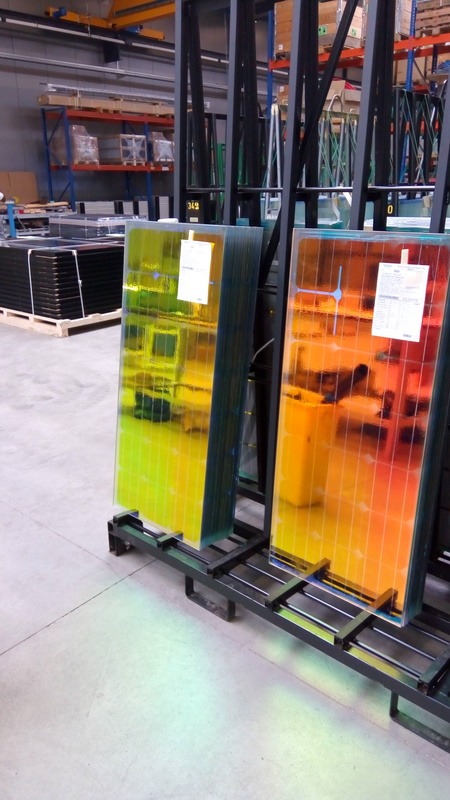 Next Generation Photovoltaics takes colorful aspects. The photovoltaic glazings of the project “LA CREA” in Rouen (France) are currently in production in the workshops of ISSOL in Dison (Belgium). They will dress the new headquarters of the Metropolitan Normandy Rouen on the left bank of the Seine river. This is a colorful photovoltaic building, with spectacular lines by the architect Jacques Ferrier. 2,000 m2 of solar panels of the next generation will create a facade of colored solar glass on which will reflect light. Color effects will be multiplied through reflections in the nearby Seine, as a nod to Impressionism and Claude Monet. This photovoltaic double skin facade will play a role in thermal protection and will allow the building to benefit from Go Interracial Dating PassivHaus label with green electricity it will produce. Photovoltaic glass elements and the non-active parts are manufactured entirely by ISSOL.